It’s not a secret that almost everyone wants to start an online business because everyone wants to earn money from the internet. You can come across many sites whose owners talk about this topic but not all of them provide an exact information. Some of them have never made a single dollar online, yet they are talking about making a lot of money and try to teach others. I know, if you are on my site you want to know the harsh truth about starting an online business and I promise I will tell the truth. I’m not going to hide anything from you. Because I don’t want to mislead you. Instead I want to help you understand exactly what is required from you as an online business owner so you know how to act further. Maybe after this info you won’t want to start a business. Or maybe you will want. So, my task is to provide an exact info and the rest is up to you. Is it hard to start an online business? So, it really depends on your personal skills. For some people it may be hard while for others it may be easy. Generally speaking, starting an online business involves two major parts: The easy part and the hard part. I will explain it further in this article. The easy part requires some monetary investment, $350-$500 per year. I believe most people can afford it. If you can’t afford then you need to find a job. In my opinion, this amount of money is not that much compared to how much you can earn from the internet. This payment includes: Website, keyword tool, training, weekly live webinars, support, live chat and more. Once you’re done with the payment part you need to start learning new things, such as watching video lessons, reading text tutorials, completing tasks, building a website, using keyword tool, do some niche research, keyword research, asking questions, etc. This part is not hard in my opinion. You don’t need to worry about all this stuff because all of this will be explained in the training step-by-step. Now the hard part comes. This part requires from you putting all this acquired knowledge into practice. It means you will be writing content for your website, promoting your content (content marketing: guest posting, social marketing, email marketing roundup posts, SEO, video marketing, offline marketing, podcasting), possibly spending money for paid advertising. This part is hard to be honest. Because your income will depend on how good you are at doing all this stuff. Those who are good at it can earn thousands of dollars online. Those who are not so good can earn a few hundred bucks which is still good. Some people earn zero $. 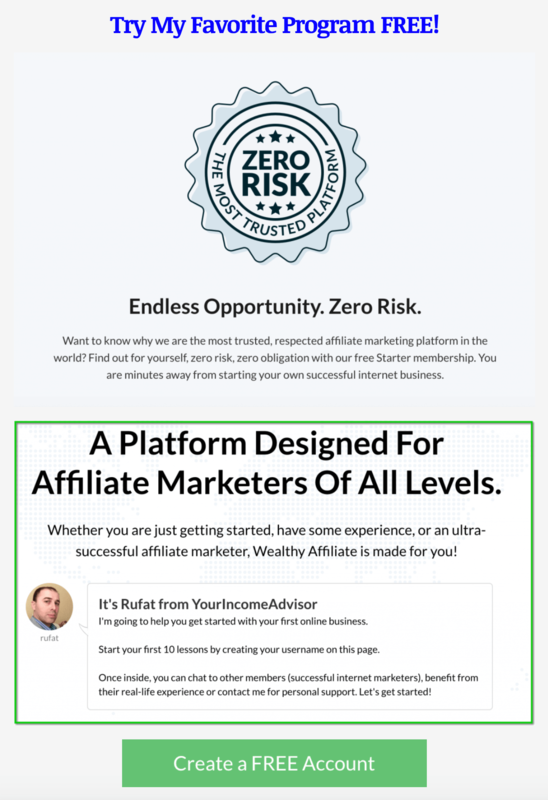 The harsh truth about starting an online business is this: Earning money from the internet is absolutely possible. Anyone can do it. I’m a member of a large online business community. I’ve been a member of it since 2013. I’ve seen MANY people involved in online business. I would say those that are goal oriented are making money. All others quit very soon and lose their motivation after 2,3 months of joining. As a result they never make money. The harsh truth is that when you start your online business you need to prepare to take a continuous action to see results of your online efforts. On average it takes 1,2 years to start making money consistently. But I’ve seen people doing it in less than one year. It happens sometimes but most of the time it takes 1,2 years. If you are not prepared to take action and stay patient I believe you should NOT start at all. For me personally it was not easy as well. It took me 2 years to start making money from my website consistently. This is the reality and you have either accept it and take action or find a regular job and forget about internet business. The harsh truth about starting an online business is that you never know how your business will go. 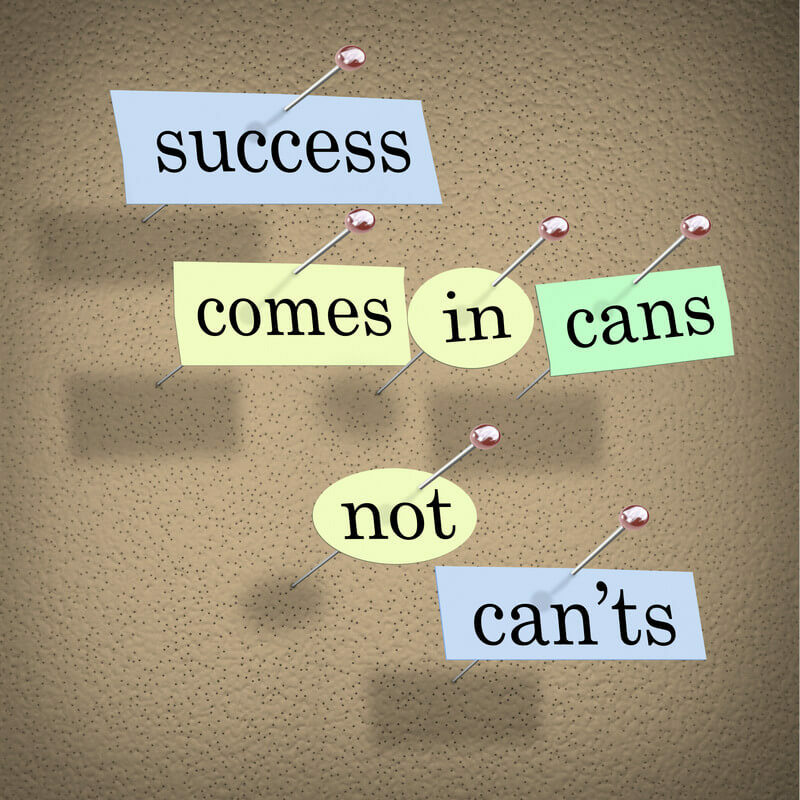 All people coming to our online business community learn the same stuff. But when it comes to putting the acquired knowledge into practice everyone gets different results. I’ve seen sites younger than mine, with less quality content and still getting more visitors from Google. This is very well explained in my article here. You may be wondering why it’s so important? It’s important because your income most of the time depends on the number of visitors you get from Google. The more visitors you get the more chances that some of them will take action and possibly buy your advertised product or service. The harsh truth is that you need to keep in mind that your online business will grow only IF you focus on it. But your results are not guaranteed. Though I’ve never seen anyone through years who would be working hard and not making money. How much money is another question. I believe even after working 1,2 years on your business and making at least $500 per month will be considered as a good result. I’m sure everyone will want to have such an income even after 2 years of hard work. Because that income will continue for years if not forever. Over the past 2 years I did so many things for myself and my family thanks to my online business. I believe you want it too for your family. I hope in this short article I was able to clearly explain what you can expect from online business, what is required from you as an online marketer. I didn’t go into details because this is another topic that needs another 1000-2000 words to describe it. 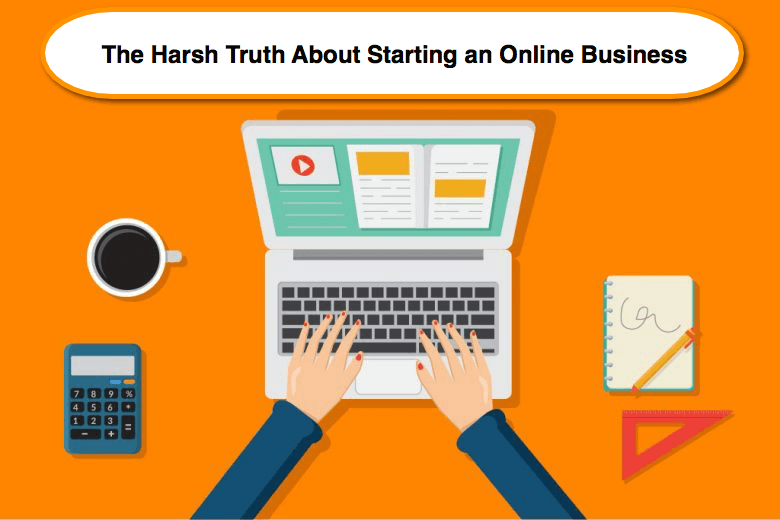 At least you now know the harsh truth about staring an online business. You know if it is for you or not. I personally recommend to start your online business as soon as possible because with expansion of the internet competition grows too. Jump on board asap to get results asap. That was indeed the harsh truth. I liked the “Work hard” x3 illustration. 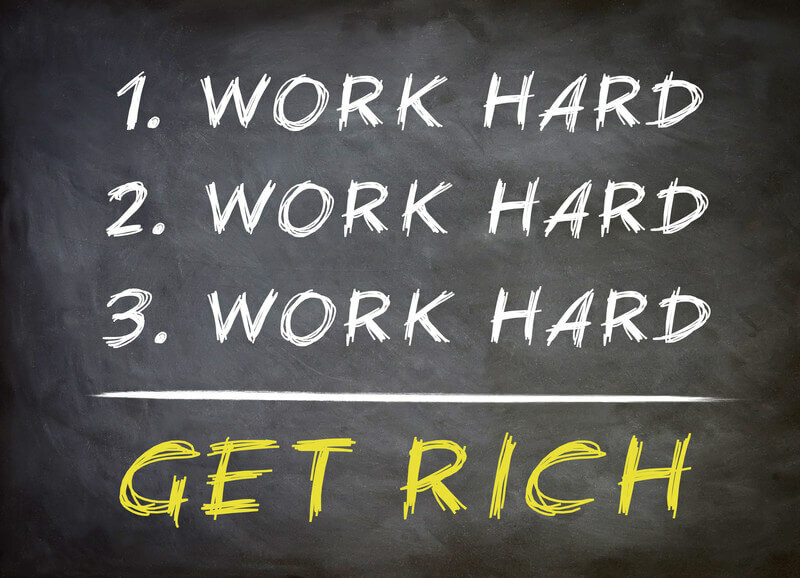 People seem so focused on the get-rich-quick scheme that they do not want to put in the effort to make money. Everyone wants to make money. Everybody wants but not everybody gets, that is the harsh truth. Thanks for putting it into perspective. I have been working on my website for 14 months, writing good quality content and monetizing my website but still haven’t made any money. From other peoples’ feedback, I concluded that nothing is wrong except the time which has not come yet. I need to keep going and persisting. That is the way. Those who are focused on get rich quick schemes are very often understand that making a lot of money without effort is not going to happen. But still they get scammed and it’s their own fault. When it comes to not making money after 14 months of working on your website it’s normal John. Just be patient and it will happen. Give yourself another 6 months and I believe you will start making money. Just follow the training at WA and also watch live trainings by Jay about improving conversions of your website. It will help you a lot. You have definitely educated me on the amount of work required for an Online Business. I am somewhere in the middle as I am also an online entrepreneur. I enjoyed reading your article because you shared your knowledge of exactly how you wear all the hats. It is not easy to work productively and accomplish all that needs done. And If you are completely new, it is overwhelming at times to learn so many new things. I think most people would be shocked to learn it takes 2yrs or more to earn money consistently. Everyone wants to make money right away, and that is why the scammers will always be in business with the promise of fast easy money. If you knew it would take so long before you started, would you still do it? Thank you for sharing this enlightening article. I’m glad my article was helpful and you learned some new things. You are right. Working productively is an important factor too. Not everyone can follow schedule and do the work required for achieving online business goals. Like you say, there are so many scammers that hide this info from people and want to convince them that making money is super easy. Unfortunately, making money right away is impossible. When it comes to your question I think I already answered it in my article. Yes, even if I knew that it would take 2 or even 3 years to make money I wouldn’t quit. I’m glad I didn’t quit. I’m making money now and helping my family. It’s a great feeling.